Our mission is to develop the thought leaders of tomorrow. We want to prepare children for a different world, one that is highly challenging and where maintaining a balance between acquiring knowledge and promoting the joy of discovery is key. We look forward to meeting parents who want to join and work with us on providing the best learning environment for their children. We believe in setting educational standards – and then encouraging learners to exceed them. Cambridge international education programmes and qualifications are accessible to learners and prepare them for success in education and employment. Cambridge programmes and qualifications have a proven reputation for being an excellent preparation for university, employment and life. They provide a valuable international benchmark of learner performance. Leading universities and employers worldwide value and recognise. Cambridge qualifications as evidence of academic ability. They are a passport to success. 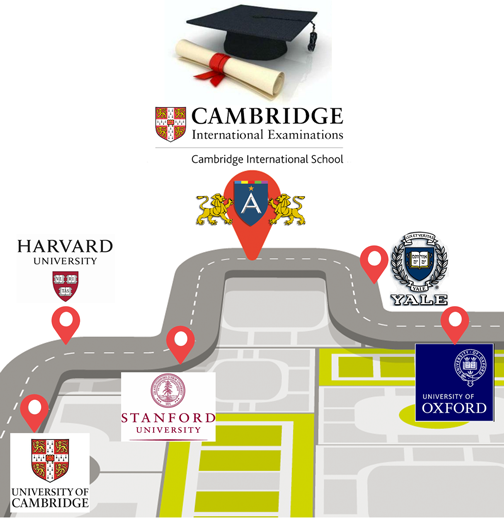 Cambridge diplomas are recognized for admission by UK universities (including Oxford and Cambridge), as well as universities in the United States (Stanford and all Ivy League universities), Canada, European Union, Australia and around the world. At Arcadia Academy we understand that all children manage their emotions in different ways. Our main aim is to provide support that meets the differing needs of all children so that each child is equipped with life-long social skills. 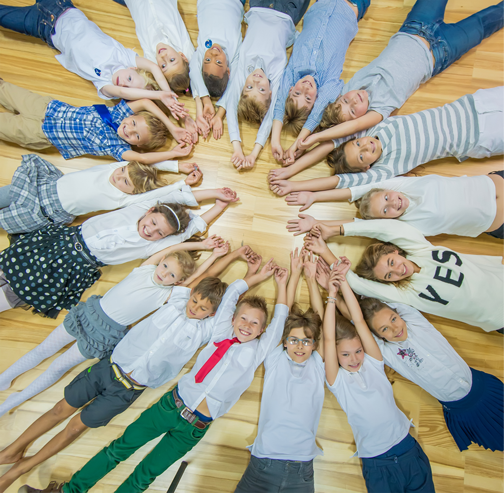 We maintain an ambiance in which children feel safe, are stimulated in their learning and social development and establish teacher-student relationships based on trust and mutual respect. Moreover, ALL staff members of Arcadia Academy are trained in child protection through EDUCare, the leading experts in safeguarding and duty of care training.